Sometimes I get to Wednesday relieved I survived Monday and Tuesday. When I start my to-do list of things that need to happen the next week, I always write it on my Monday calendar. And then I spend Monday running errands, replying to emails, and taking care of all sorts of business – like it all has to be done before lunch the first work day of the week. Whatever doesn’t happen Monday is rolled over to Tuesday. And surely I get it all done by Wednesday, right? There’s always something to be done. It’s not always important or even necessary. Some days I get the priorities messed up. And other days I realize it’s OK to sit down with a fiction book that may not help me solve all the world’s problems. My tendency is to bow down to productivity. I’m such a work-before-play girl. But I’m slowly realizing that’s no way to live – not on Mondays or any other day of the week. Because it doesn’t all have to be finished today. It’s impossible it’ll all be done today. So don’t forget to rest. I’m encouraging you while reminding myself: Read your Bible. Write someone you miss a letter. Call your friend on the phone. Pick up that fiction book you’ve been waiting to read. Get a pedicure. Go on a walk with a friend. Play a game with your kids. Bake a pie, if that’s your thing. Watch a movie with your husband. There’s no right way to rest. But there’s power in remembering that to-do list doesn’t haven’t to be conquered by lunchtime on Monday. I’ve been telling myself: It’s OK to slow down and sit down. In fact, there are plenty of days it’s not until I sit down I remember to Whom I should bow down. I lose sight of God when I’m rushing around, striking the next task off my Monday calendar like it owns me. I’m linking this post with Jennifer Dukes Lee’s #TellHisStory and Holley Gerth’s Coffee for your Heart. I've written on this subject before, inspired by Jennifer Dukes Lee's "Love Idol." Hi, Aly! Thanks for coming by! Yes - sitting down and laughing are so healing and refreshing. Amen! Great advice, Kristen. It is that filling up and basking in the joy moments that get us through the week. It's always a blessing to visit you. Thanks, Dawn! I'm glad you stopped by today. Is today Wed? I thought it was Tuesday... still! Oh man, what a loong week already. I wish we could skip Thursday all together and go straight to Friday! 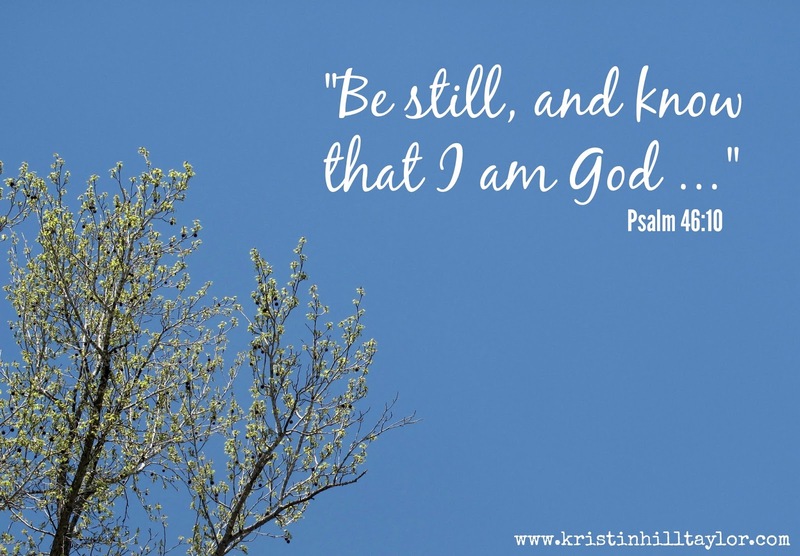 I NEEDED this reminder to slow down and rest, be still. Thanks, girl! Stopping by from Tell His Story. I'm chuckling a bit here because I, too, can easily become slave to the to-do list! It's a good reminder to slow down and rest, especially to rest in the presence of the Father. Thanks for sharing! It is Wednesday, so you're a day closer to Friday. :) I'm glad to see you here, Alecia, and thankful my words encouraged you. Sounds like a lovely evening. I do wish we lived closer so we could share some of those relaxing, refreshing times! Your encouragement here always blesses me. Love you, Beth! I have had lots of being still in my heart lately even though my hands have been busy. You are wise to find some down time to just be. Being still internally is so refreshing. I'm glad you've gotten to experience that, Mindy!